You still don’t know where you’re going on vacation this summer? Here’s the solution: Mallorca, with its 300 days of sunshine per year make it an ideal place for a holiday at any time of the year, but especially in summer. Mallorca is the largest of the Balearic islands and is known for its white sand beaches, bays with hidden coves, sun and summer fun. However, Mallorca offers much more and is the perfect place for a different holiday. Mallorca is rich in natural paradises, underground caves, high mountains, small fishing villages and more. About 40% of its territory consists of nature reserves and fabulous unforgettable landscapes rich in natural beauty. 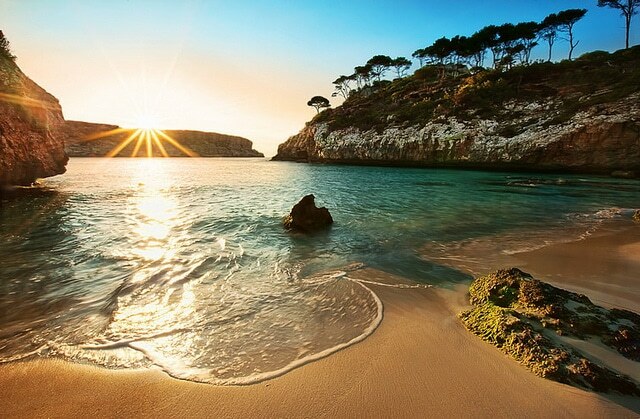 Therefore, today we present the top 5 reasons to travel to Mallorca this summer. Are you lovers of coves and beautiful beaches with crystal clear waters far from the bustle of the city? Mallorca is popular and famous for both Spaniards and tourists from around the world because of this. Click the next ARROW to see the next image!